If you don’t know Midlake, it’s about time that changed. The band has a lot of exciting music, and I’m surprised I haven’t posted about them yet. With songs like “Some of Them Were Superstitious”, I can’t think of a better artist comparison than Grandaddy. Thom Yorke is not too far behind though. Midlake’s music has a ’70s folk/rock feel, with a strong presence of piano and acoustics. 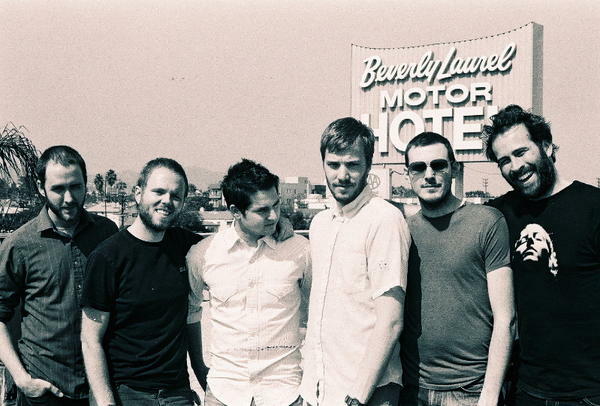 Midlake was started by a group of jazz students attending the University of North Texas. The band is from Denton, Texas and is made up of frontman Tim Smith, guitarist Eric Pulido, bassist Paul Alexander, keyboardist Eric Nichelson, and drummer McKenzie Smith. When the group first started, they had funk/jazz roots, until they decided that they would expand their creativity by exchanging instruments to produce more of a pop sound. Jason Lee, the actor who plays Earl on the show My Name is Earl, is a huge Midlake fan, as is often promoting their music. He directed the bands music video “Balloon Maker” which you can see at their myspace. Buy Midlake’s albums at their site. I really love the instrumentals in this song, and thought that I’d share it with you. Perfect for any Fall day–at least the few that are left. 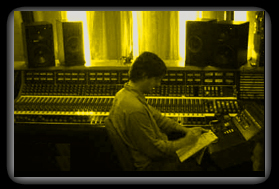 The man behind Mount Analog, Tucker Martine, is a producer, artist, and composer. His most recent production is The Decemberists album, The Crane Wife. He also just produced a 7-inch for Sufjan Stevens. Some other artists he’s worked with include Wayne Horvitz, Bill Frisell, Jesse Sykes, and Laura Veirs. Tucker was born in Nashville, but now lives in Seattle. Microsoft has asked Tucker to help compose the startup and branding sounds for Vista, the new operating system coming out next year. I don’t really know what that means, but if it means that every time someone turns their computer on they will hear something that he created, that’s awesome! To listen/buy more of his music and to see other artists projects Tucker has worked on check out his site. The Kings of Convenience are well known in the indie community, but the band’s front man, Erlend Øye, has a newer, less known side project, The Whitest Boy Alive (no, they weren’t refering to me, thanks though!). I’ve heard a few songs from the album in the past, but tonight’s the first time I got a full listen. If you don’t mind having an album that’s not revolutionary, then I think that you’d like it. It’s an experimental album, where the songs have basic chord rhythms. Sometimes those rhythms work, sometimes they feel a bit drawn out. Listening to the album as a whole, the melodies differ enough from each other, however, the vibes seem similar. I do enjoy songs on the album though, much more than I would if I looked for a deeper meaning. 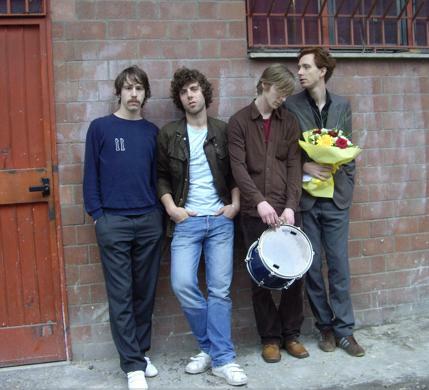 As it states on the band’s minimalist website, “The whitest boy alive started as an electronic dance music project in 2003. it has slowly developed into a band without any programmed elements.” Erlend Øye is Norwegian, but the band is actually based in Berlin. That’s Germany. To hear more go to the The Whitest Boy Alive’s Myspace and buy Dreams at Amazon. I have been taking drum lessons now for about a year, and must say that I’m not that much better than when I started…but today, that has all changed. I just learned what the problem was! It is just as I suspected–my teacher. And, well, my drums. If you watch, be sure to stick around for the grand finale. A1-A2-A123 (HIT IT). Let me introduce you to Fredo Viola. Fredo graduated from New York University’s Tisch School of the Arts where he studied film. Film has always been a passion for him, but music even more so. Fredo, and his fans for that matter, now have the best of both worlds. We get to listen to his music, and also watch his beautiful music videos. Fred’s video “The Sad Song” is truly impressive. The video was created entirely using 15 second jpg movies from his little Nikon Coolpix 775 still camera. The video is displayed as a multiple image panorama, and alongside the song, it is effective. “The Sad Song” can indeed be considered a ‘sad song’, but at the same time, I see signs of hope and an emerging happiness. The nature scenes, moving bicycle shadow, and even Fredo singing in the video, remind me of life. To watch the music video, click the photo at the top of this post. Viola was born in London, but has lived most of his life in the U.S. He currently resides in Woodstock, NY and lists some influential artists as Shostakovich, Britten, Bartok, Stravinsky, and Belle and Sebastian to name a few. He has recently signed with French label “Because” and has plans of releasing a full album. Due to the fact that Fredo just signed with a label, most of his songs are not available in full at this time, but I strongly encourage you to check out his Myspace and his site where there are samples. Also, make sure to watch The Sad Song video. I am really sorry for the lack of posts recently. These last few weeks have been abnormally busy, but I promise to make it up to you. Paris based singer/songwriter Piers Faccini is releasing his U.S. debut album, Tearing Sky, on November 7th. Piers is not a well known artist yet, especially in the States, but I can see that changing very soon. When an artist has under a thousand friends on Myspace (763 to be exact), you know that they are small. For some perspective, Paris Hilton has 127,942 friends. I highly recommend this album. It has great instrumentals and is quite mellow. Piers has a beautiful voice, and his music has impact. Comparisons can been made to Devendra Banhart, Nick Drake, and Alexi Murdoch. 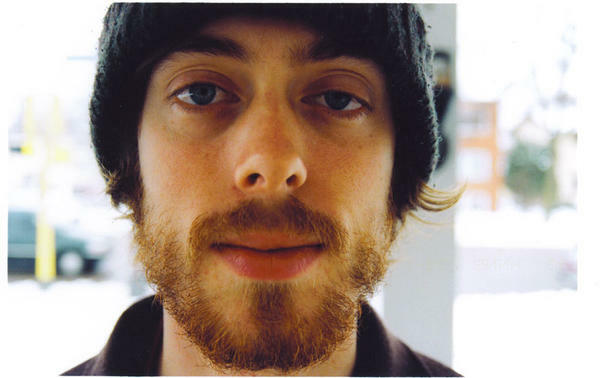 Piers is signed to Everloving, and the labels co-owner JP Plunier Produced the album (also produced Jack Johnson, Ben Harper). You will hear guest appearances from Ben Harper, along with members of Harper’s and Johnson’s bands. The album has a similar feel to Ben’s and Jack’s works, but the acoustics don’t have as big a presence as they do on their albums–it has a more urban folk/blues sound. Piers’ ancestory comes from different ethnicities, and his interest in applying different genres is compelling. You will hear some rhythms on his album that have more of a North African sound. 11/1: SOBs, New York City, NY (early show) CMJ! Go to Piers Myspace(linked above) to hear more music, and watch a short video about him–it’s pretty neat. Piers is also a painter and has some of his work on his site. You can pre-order the album at CDuniverse. 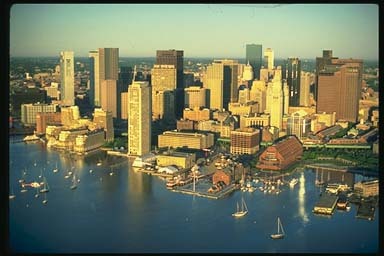 For the next few days I’m going to be in Boston, so I’m not sure yet if I’ll have time to update. Also, if you’ve been a visitor to my site before, you’ll notice a blue button next to each song. That is there so you don’t have to open the link to listen to the song. Just press the button, and the song will start playing. Press it again, and the song will stop playing. It’s magic! You may also be wondering what all of those colorful buttons are at the bottom of each post. Those, my friends, are links to bookmarking sites, where people submit posts and websites that they like. If you have signed up for any of those bookmarking sites, and enjoy a post of mine, please consider bookmarking it to the site. If you have an account, all you have to do is press the button and log in. If you don’t have one, you can press the button and do the really quick sign up. It’s a great way to spread this music, and that is my only mission, as you can see by the lack of advertisement on this site. Bookmarking sites are becoming more and more popular, and even if you don’t bookmark one of my posts, you may find some interesting websites on them. Update: Here are “Leaving On A Jetplane” songs by popular request. Which Sondre Lerche is Most Your Cup of Tea? I have always been a big fan of Norwegian artist Sondre Lerche. 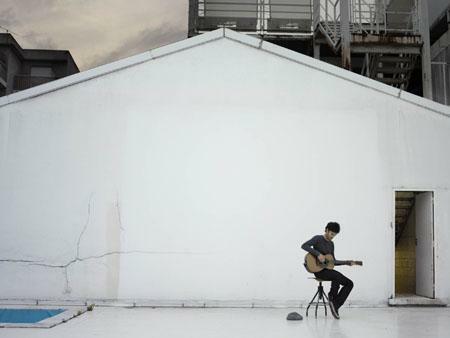 Many of his lo-fi/pop songs have catchy melodies that coincide wonderfully with his soothing voice. 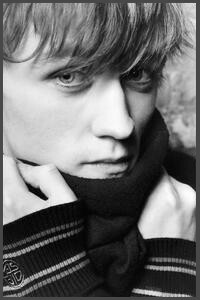 Sondre has been playing guitar since a young boy, and his music started being acknowledged while still in his teens. Sondre’s first two album’s, Faces Down and Two Way Monologue, turned many listeners into loyal fans. Having been born in the 80’s, Sondre’s music takes on a different sound than most other artists his age. He has a 60’s feel about him, that has a very mellow folk/pop foundation. His newer album release, Duper Sessions, shows another side of Sondre. The album shows Sondre’s versatility, as it’s foundation is jazz. Truthfully, I like his older albums better. I’m not big into jazz at this point in my life, and the album has only grown onto me slightly after listening several times around. I think it’s possibly more me than him. Some people love the album, while others are on the same page as me. Again, I don’t think it’s bad; I just prefer his first two albums. Just last week, Sondre released a new single entitled, Phantom Punch, which is even further away from what his music used to sound like. Which do you like best? His earlier works, his jazz, or his new single? Support Sondre at his site! I have a very exciting artist to share with you today. Singer-Songwriter Jeremy Messersmith is one of Minneapolis’ hidden gems, and it will not be surprising if he soon blows up in the indie scene. To give you an idea as to just how “underground” Jeremy currently is, he only has 590 Myspace friends. He seems like a laid back guy, and in today’s over-produced world, his music is considered very minimalist. Jeremy’s songs are thoughtfully played both instrumentally and lyrically. You don’t see that much anymore. More often than not, you have songs that have great potential but are ruined by meaningless, and immature lyrics. Sometimes you’ll find a talented lyricist, yet he doesn’t have the melodies to carry the songs. In those instances, the songs are disregarded because they’re songs–not poems. Jeremy has eloquently produced an album that is enjoyable to listen to, and lyrically, he improves the songs. It does not appear that he is trying to knock off Elliott Smith, but he does share a similar sound. His lyrics are not nearly as gloomy as Smith’s. I would also like to note that Jeremy seems to be a very down to earth guy. You see many artists today who express their feelings through their songs, yet there is no supporting evidence that their lyrics represent how they truly feel. For example, there are many artists who talk about their opinions on love, yet don’t really have the slightest idea what love is. It’s harder to accept those songs, because it feels more like the artists is trying to woo the listener, instead of writing out of passion. Jeremy has a blog on his site, where he expresses his feelings outside of his songs. His feelings on everyday life help support that his lyrics are honest. We learn his opinions on Chicago’s deep dish pizza’s, cubicles, and Star Wars to name a few. I personally feel closer to music when I trust the artist singing. Purchase this album from Jeremy’s website! Field Music is brothers Peter and David Brewis, and founder/director Andrew Moore. The band hails from Sutherland, England and just released their debut album last year. Field Music draws comparisons to The Futureheads and the New Pornagraphers. Personally, with some of the songs, I hear The Shins. Recently, Field Music released an album entitled Write Your Own History, which consists of B-Sides and early songs. 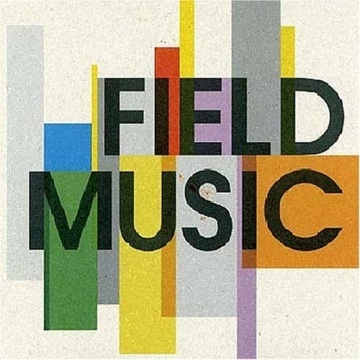 Field Music – You’re So Pretty….